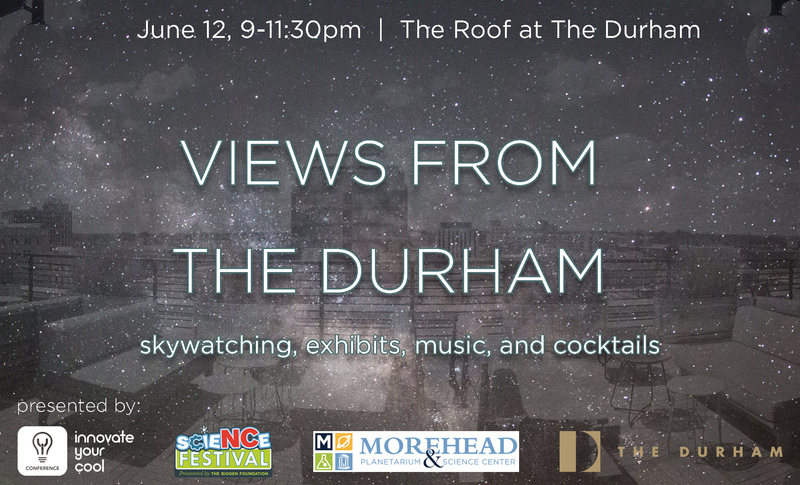 Join us on the roof for a night of telescopic views and science exhibits with music and cocktail specials hosted by the Morehead Planetarium and Science Center and The NC Science Festival. Jupiter and Saturn take the stage early in the evening, with views of Saturn’s rings from a few different views. The Waxing Gibbous Moon will make an appearance around 11pm.